Additives are substances added to food during the production and packaging process to enhance their shelf life, texture, color, and taste. We are told that additives are dangerous and harmful to our health. But, there are some advantages of food additives. So, are food additives bad for us? Or, are food additives healthy? Although there may be certain ill effects of additives and preservatives in food, they increase its shelf life and help retain the flavor, color, and texture. They also help maintain or increase the nutritive value of food. Let’s take a look at the importance of food additives. Just looking at the lengthy ingredient label can be an unnerving experience. The ingredient list includes frightening names such as ascorbic acid, alpha-tocopherol, and beta-carotene. Although the ingredients don’t look familiar, they are. These are other names for some essential vitamins and minerals that you should be consuming daily. Ascorbic acid refers to vitamin C, alpha-tocopherol to vitamin E, and beta-carotene to vitamin A. Here are four benefits of food additives. Consuming food infected with microorganisms can lead to food poisoning. Additives help keep the food fresh and prevent spoilage. They combat the growth of bacteria and viruses on the food. Salt and other natural additives are added to foods to help increase their shelf life. So, additives help maintain the quality of food for a longer period. Processes that extend the shelf life such as canning, dehydrating, or freezing may alter the flavor. So, food additives like acids, flavor enhancers, or sweeteners will make food taste better. For instance, the added salt in chips and other fried foods leave you craving for more. Vitamins and minerals may get lost during processing. Certain foods like corn flakes are fortified with vitamins, minerals, or fiber for added nutrition. Preserving food through additives increases the convenience of storing and consuming it. Also, it helps maintain and improve the nutritional value of food. Food enhanced with additives may provide nutrition to a person who does not consume a balanced diet. The manufacturing process can alter the flavor and texture of foods, making then unpleasant. Natural and artificial flavoring substances, spices, and sweeteners when added to food preserve the texture and appearance. Stabilizers and emulsifiers help maintain the consistency of foods. For instance, a leavening agent added to bakery products helps make them rise. Emulsifiers help combine substances that do not mix well together, such as oil and water. A stabilizer, on the other hand, helps prevent the separation of these substances after mixing. Mayonnaise, ice cream, and homogenized milk contain stabilizers and emulsifiers. The chemicals in food react with oxygen in the air giving it an unpleasant taste and color. It makes the food go stale, and the oils and fats go rancid. Antioxidants help preserve the flavor of foods, which is one of the most important benefits of this food additive. This food preservative is used to preserve meat and fish. Salt dehydrates food and keeps it dry, which prevents the growth of bacteria, mold, and yeast. Salt-cured food is safe to consume and lasts years if it is stored under proper conditions. 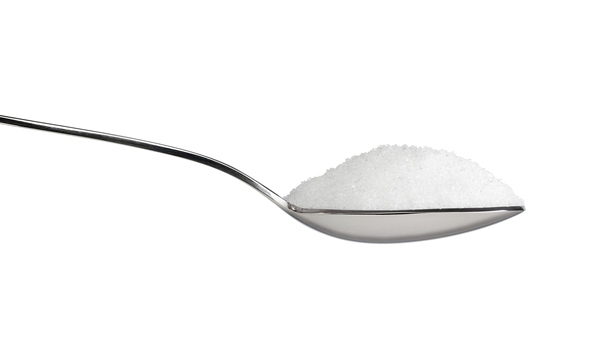 Sugar also removes moisture from food like salt and makes food acidic. Most bacteria cannot survive in acidic conditions. So, it prevents the growth of bacteria and other microbes that decompose food. Vinegar is one of the oldest food additives. It contains five percent acetic acid and kills bacteria and other microorganisms. It also gives a sharp flavor to food with its sour taste. Anti-caking agents such as sodium bicarbonate prevent the food from clumping or sticking together. It is usually added to powdered milk. Food drinks, soy sauce, beer, and pre-cooked meats all contain additives. The bright color of food and drinks doesn’t mean they are healthy. It could just be colored sugary water. An additive like monosodium glutamate (MSG) enhances the flavor of the food it is used in. The chicken soup or the orange juice you buy may contain only small amounts of chicken or orange. Manufacturers replace the main ingredients with MSG, so you can still taste the flavors. In conclusion, it is best to eat freshly-made food as much as possible, even though the FDA allows consumption of certain types additives. Avoid processed, packaged, and ready-to-eat meals on a daily basis. Flour, biscuits, bread, breakfast cereals, margarine, pasta, and milk are some of the foods that have additives. You cannot prevent the consumption of certain additives. Although there are ample of advantages of food additives, you should be mindful of what you put in your body. “11 Types of Food Additives,” Fooducate, August 3, 2011; http://www.fooducate.com/app#!page=post&id=57A33CB9-B82E-3993-4F43-BFE94A162EBE. “Pros and Cons of Food Additives,” Health Research Funding, April 2, 2014; http://healthresearchfunding.org/pros-cons-food-additives/.